The Caterpillar wheel loader was tied to a company in Vista, according to officers on the scene. A long trail of debris was found just after 5 a.m. Monday at the Union Bank on Waring Road in the Allied Gardens neighborhood. The debris included a damaged ATM keypad and bank signage left behind in the parking lot. 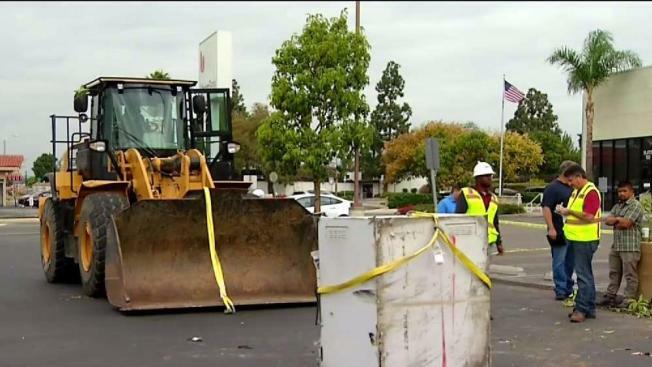 The Caterpillar wheel loader was tied to a company in Vista, California, according to officers on the scene. The 950K model weighs almost 20,000 pounds.